Attaching Coaming to Frame – The coaming lip is attached to the coaming with 1/2″ or 5/8″ wood screws. The base plate stays independent of the other two sections. Next, the 3 coaming rings are attached through the deckridge and cross sections 4 and 5 with 2ea. X 10 / 24 machine screws/nuts to create a secure bond to the frame. The stiff coaming, combined with it’s secure attachment adds rigidity to the frame. 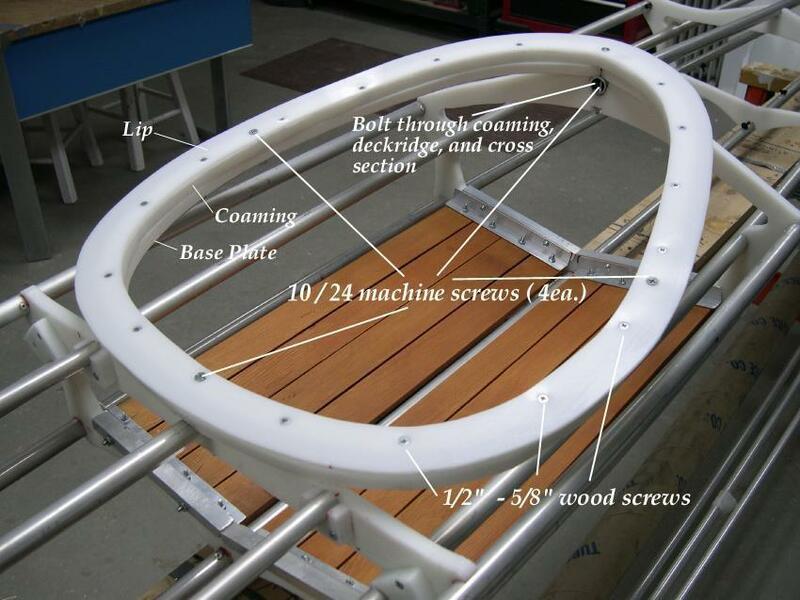 Two additional machine screws are used to secure the sides of the 3 coaming rings together. A wood coaming, though similar, can be glued between the lip and coaming.